Weigh out your desired amount of coffee and grind to a fine consistency. 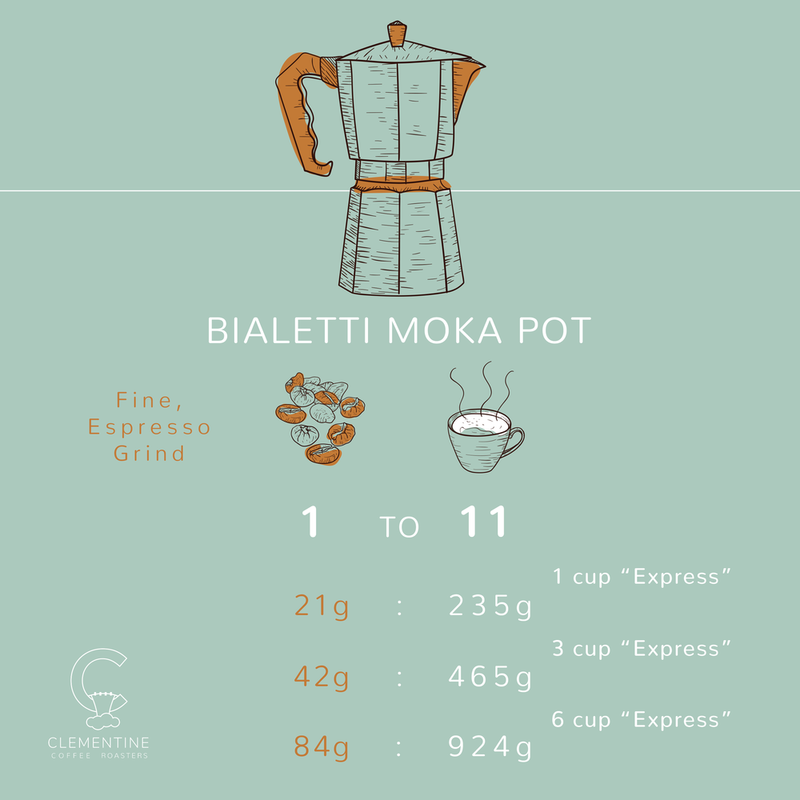 Add water to the bottom half of your Moka pot. Load up the pot's filter basket with ground coffee and shake it side to side so the grounds level themselves out. Set filter basket into its place on the bottom half of the Moka pot. Screw the Moka pot's spouted top into place over the bottom half with water and coffee. Set the pot onto the stove on medium heat. Wait for the delicious coffee to begin bubbling up into the spouted chamber. You'll know it's done when it begins to hiss. PS: To see steps for other brew methods, go to the brew methods page. If you want to order a brew methods poster, complete with water to coffee ratios, place your order here.